Nested in between residential, older style Queenslanders, Willow & Spoon is a unexpected surprise. Eclectic, mismatched, relaxed and interesting, this cafe has it all. From the outhouse at the bottom of the garden to the choice of dining in either the intimate interior, or the more expansive outdoor seating at the rear of the building, this place does not disappoint. Somehow the somewhat different mix of everything, works. It really does. 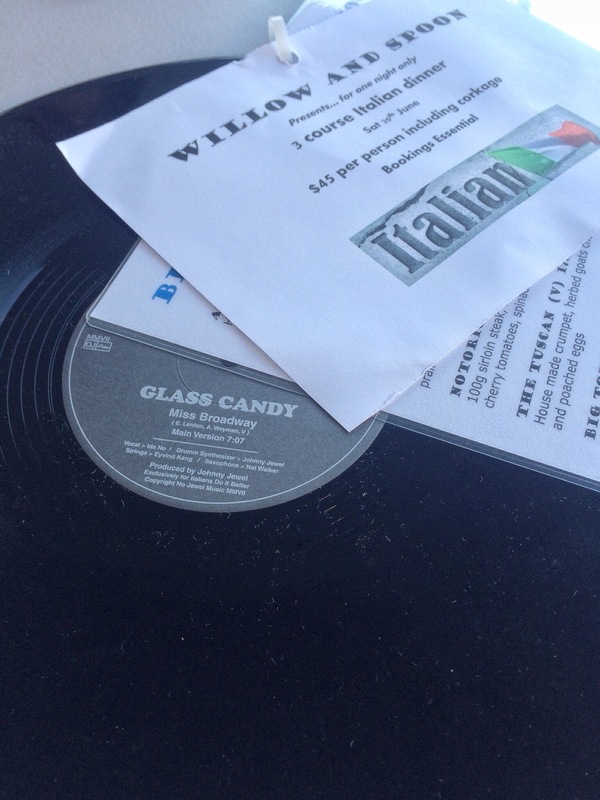 Menus arrived attached to old LP’s, perhaps that’s why the meals arrived in record time…….😃. ! What better way to start your day than with a refreshing juice. 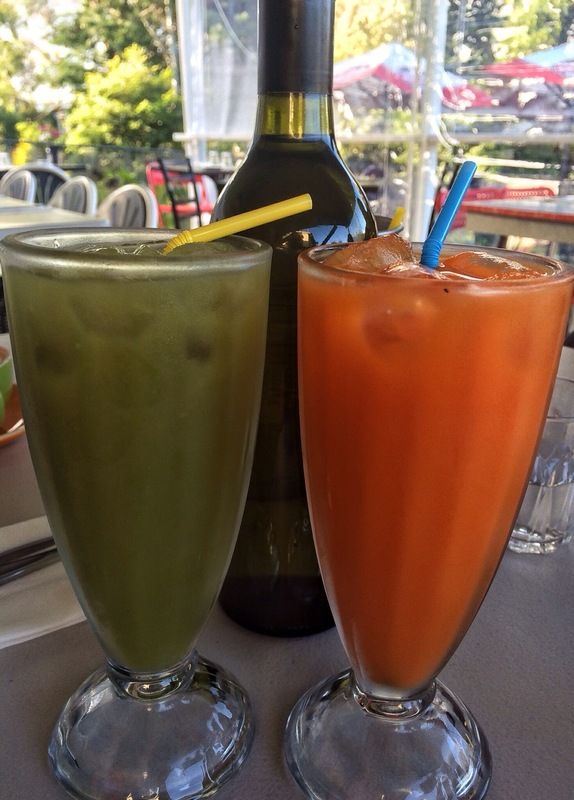 The dull green hue of the Kiwifruit & Apple juice, was offset by the bright, sunshine look of the carrot juice. The Tuscan was my menu choice today. Homemade muffins were the base for the poached eggs and tomato relish, accompanied by my extra of mushrooms. A delightful dish, which I thoroughly enjoyed. Bright yellow cornbread was the added choice on The Willow meal of bacon & eggs. I did have a taste of the cornbread which was wonderfully soft and tasty. Hubby’s breakfast above, was Notorious. 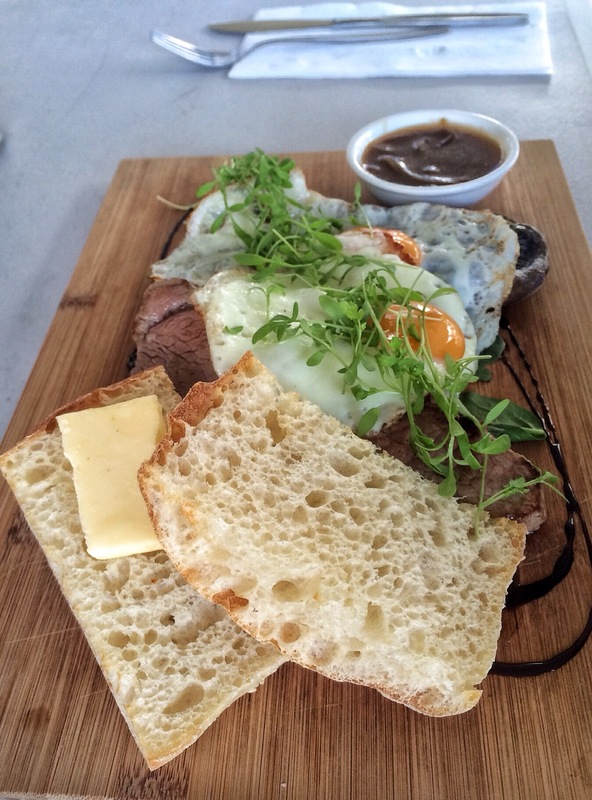 A belly warming sirloin, onion gravy, mushrooms, eggs and Turkish toast. This definitely hit the right spot too. As explained in their brief history on the menus, the menu here changes frequently. A plus which helps to keep everyone’s interest. Themed dinners occur monthly here too. You might want to check one out – I think we will be sometime soon. After all, the Italian night which was drawing near, sounded good value at $45 per person for three courses. 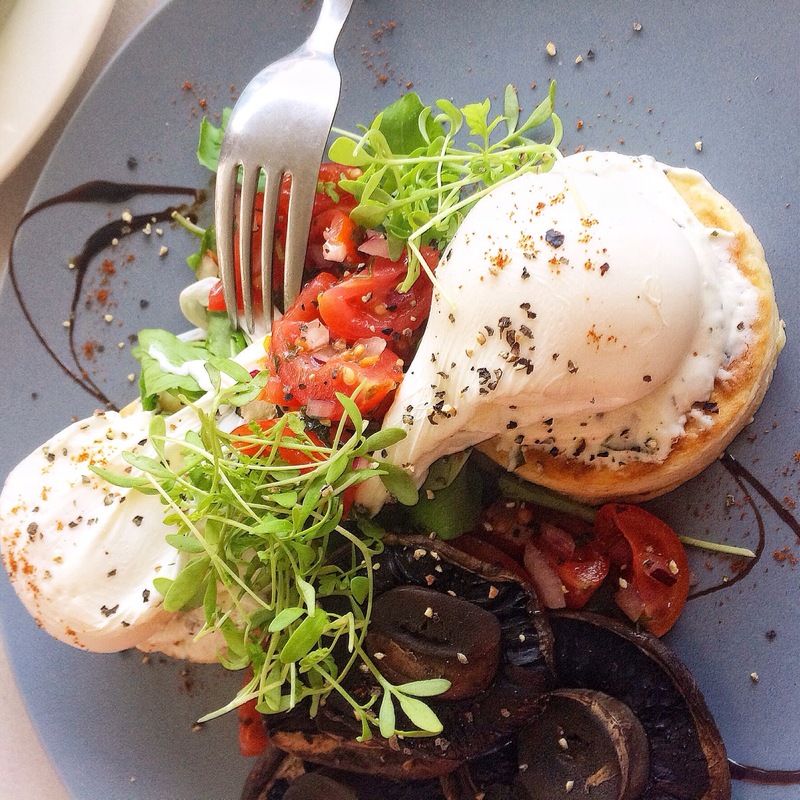 Take a drive down Newmarket Roaf and visit this interesting cafe, with wonderful friendly service, which has just been voted best cafe in Brisbane!